The Porsche PrincipleThe Porsche principle is unique within the world of automotive industry. Learn more here. Porsche at a glanceQuick access to all facts and figures. 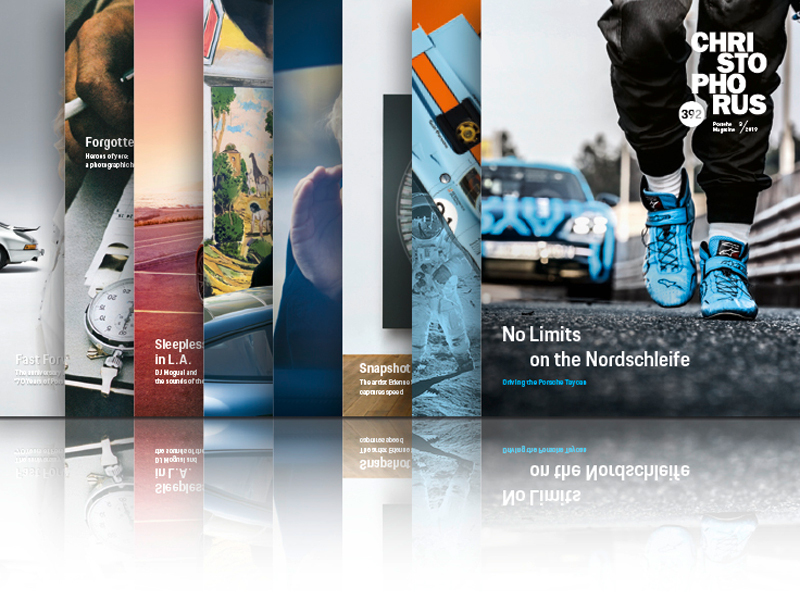 Newsroom & PressAlways up-to-date with the Porsche newsroom and press releases of Porsche AG. Jobs & CareersWe live on the innovations and creativity of our employees. If you want to experience the fascination for Porsche, come and join us! Christophorus - The Porsche MagazineThe Porsche magazine, Christophorus, is a company publication that provides information on the company, the activities of the Group and its products. Porsche MuseumLearn all about the new Porsche Museum that is located at Porscheplatz in Zuffenhausen. SustainabilityLearn more about our activites in the field of Corporate Social Responsibilty. Services SubsidiariesIn addition to its range of exciting vehicles, Porsche offers a spectrum of services for technical vehicle developments and related areas. Porsche Latin America, Inc.For complete information on Porsche Latin America, please click here. 70 years of sports car fascinationThe Porsche PrinciplePorsche at a glanceNewsroom & PressJobs & CareersChristophorus - The Porsche MagazinePorsche MuseumPorsche E-PerformanceSustainabilityServices SubsidiariesPorsche Latin America, Inc.